Last 12 November Stan Lee passed away. Lee was one of the most important authors in the history of comic books. He invented dozens of superheroes, such as The Fantastic Four, Spider-Man, the Hulk, Iron Man and the X-Men. He did not simply create new characters with special powers, he also made them relatable and three-dimensional. 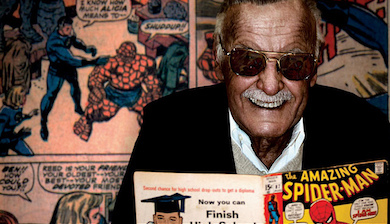 His work helped comics become a complex and respected art form.